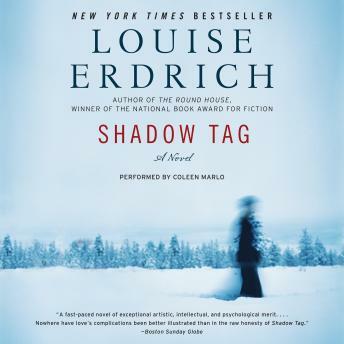 Shadow Tag is a stunning tour-de-force from Louise Erdrich, the bestselling author of The Plague of Doves and National Book Award-winner The Round House. When Irene America discovers that her artist husband, Gil, has been reading her diary, she begins a secret Blue Notebook, stashed securely in a safe-deposit box. There she records the truth about her life and marriage, while turning her Red Diary—hidden where Gil will find it—into a manipulative charade. As Irene and Gil fight to keep up appearances for their three children, their home becomes a place of increasing violence and secrecy. And Irene drifts into alcoholism, moving ever closer to the ultimate destruction of a relationship filled with shadowy need and strange ironies. Alternating between Irene's twin journals and an unflinching third-person narrative, Louise Erdrich's Shadow Tag fearlessly explores the complex nature of love, the fluid boundaries of identity, and the anatomy of one family's struggle for survival and redemption.